Clutter Managment: is that an Oxymoron? 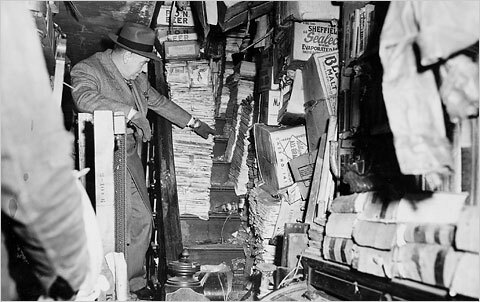 By now this image of the Collyer Brothers clutter-stuffed brownstone is familiar to most people. The fear of being compared to them is incentive enough to call the dumpster company. Another scenario that happens to be my favorite is Fibber McGee’s closet www.youtube.com/watch?v=h9FGC68YcwM I think that is more realistic, don’t you think? All of us tend to have a little “closet slob” in us. Well, as with most problem issues, there is always someone who can cash in on it, and make a business out of it. As a matter of fact (and a scary one at that) there is even a reality show that has been made of this very same Collyer brother phenomenon. Closet management systems you can do yourself, or closet management companies you can hire to tackle the Fibber McGee closet in your home are available to all who wish. 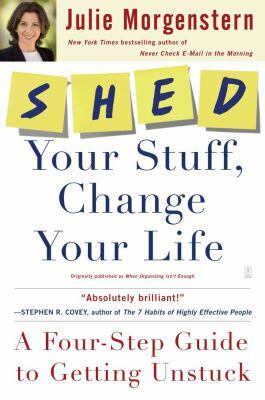 And of course, there are many books that can help guide you to a clutter free, or clutter controlled existence. 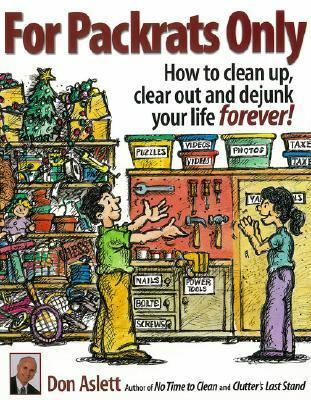 If yo u just need a little guidance on how to tackle this yourself here are two titles to get you in the cleanup mood : For Packrats Only by Don Aslett and Shed Your Stuff, Change your Life by Julie Morgenstern. I know I’m ready to get started, I think my work gloves are in the closet….